Mari is Spectacular in her commercial. 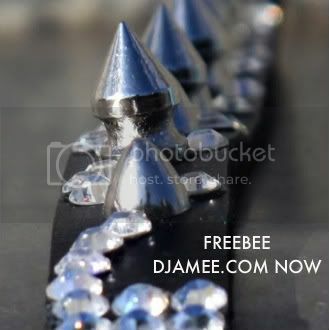 Her aka DJ Stiletto wears StuddedSpikes. I have pledged to give some of the proceeds of Various Imbecile Protected As V.I.P to at least 2 charities Southern Sudan Initiatives and BK Styles Foundation. DIDDY / DIRTY MONEY "Someone To Love Me"
We all need time for our mind to rest; for our thoughts to gather to the right direction; we must forgive those who need us to forgive them; and ask to be forgiven. I am finishing my vacation that I started 11 days ago. This was not a plan trip but a necessary one. Today on our "D Blog," I am sharing with you some of the benefit I gain from taking the time away from my desk and many social events. We all need to rest, it is obvious it is common sense, but for many reasons we don't. Our brain needs more rest than our body. Our brain needs some quiet time. The location from where you do business is most often irrelevant; so if you work from vacation your mind won't rest. At the beginning of his career Russel Simons, had 3 offices. He was barely seen in any of them. He preferred to work from bed or now days from the back of his Rolls Royce, on his phone. Yet he kept building his empire in bed or in traffic... When I say rest your brain, I mean you will need to leave your phone behind. You will need to reduce to almost nothing checking your emails. You will need to stay away from your favorite Social / Facebook or Twitter. You can call your family and best friends; but do not work from vacation unless you have to. Delegate power. Utilize your directors; associates; interns; assistants; managers. Let them adjust with you not being there. You will be amazed lol; they don't need you as much as you think. They need you to have a "Quiet Mind," and to come back re fresh and ready to set even better goals for your company. We need to forgive and we need to be forgiven. Like attracts like. By being hateful we bring more hate in our our lives. By being loving and merciful we bring mercy and love in our lives. Hate is like suicide to our happiness. Forgiving is a tool to our happiness. No matter what your religion is; if you have a personal concept of God go and find in your heart that place where you can forgive and send thoughts of love for those who betrayed you who hurt you no matter: Who; what. where, close to you or not. As things are only resolved trough love and mercy. I am suggesting also to ask your spirit to forgive your personality. By that I mean that we all have some habits that we know we could live without. The more you ask for your spirit to forgive your personality, the sooner you get rid of habits or thoughts that can delay progress on your path to a "Quiet Mind." Here is a map for April 11th 2010 BKFW: Stage 6 @ Steiner Studios 15 Washington Ave Brooklyn Navy Yard 11205 . Have your tickets and Enjoy. Tuesday, the weather is beautiful in Manhattan, and again I just need to look outside and know how fortunate I am. Fortunate to be healthy, happy to be able to work and do something I like in this time in this life. I know the reality that I am loved and this is one of my best victory. I have had many trials trough the years most I have overcome. I put myslef in some funny or strange and even sad situations. The struggle; the fear; the hope; the love and the way I overcame all the obstacles is the main purpose of my book. I will speak in details in my upcoming book V.I.P Various. Imbecile. Protected. Get a chapter of V.I.P, download it here free. In today world, I believe I can add my voice and help while entertaining many people who today are going trough what I was going trough for the past 12 years. Stay tuned and make sure you subscribe to recieve updates. This Sunday, I will be presenting my Fall Winter 2010 StuddeSpikes, featuring DM Djamee Models, during BK FASHION WEEKEND benefit collections to help Abner Louima, & Brooklyn Style Foundations. Some other designers are Das Komitee & Gerald Duroseau. The event is taking place at the elegant Stage 6 Steiner Studios 15 Washington Ave Brooklyn Navy Yard 11205. The donation is: $35 and you must have a ticket to attend they won't be sold at the door advance only. Your donations make a difference. Thank you.